The approach of December found me at the wheel of the new 2017 Cadillac XT5, the high-end Platinum edition finished in stellar black metallic – seemingly sparkling for the occasion. It is the 2,000th new car, truck or SUV I’ve driven and reviewed, dating back into the 1970s. Thirty-nine years ago this month, it was Christmas Eve 1977, I drove away from Jim McDonough and the long-since-gone Griffith Chrysler Plymouth in Northglenn in a new Chrysler Cordoba. That started it. When Todd Maul, managing partner of John Elway Dealerships, in a recent discussion offered the loan of a new Cadillac for pick up on Monday at John Elway Cadillac of Park Meadows, the vehicle was No. 2,000 for me, falling right after a BMW i3 electric and just before a Nissan Pathfinder. 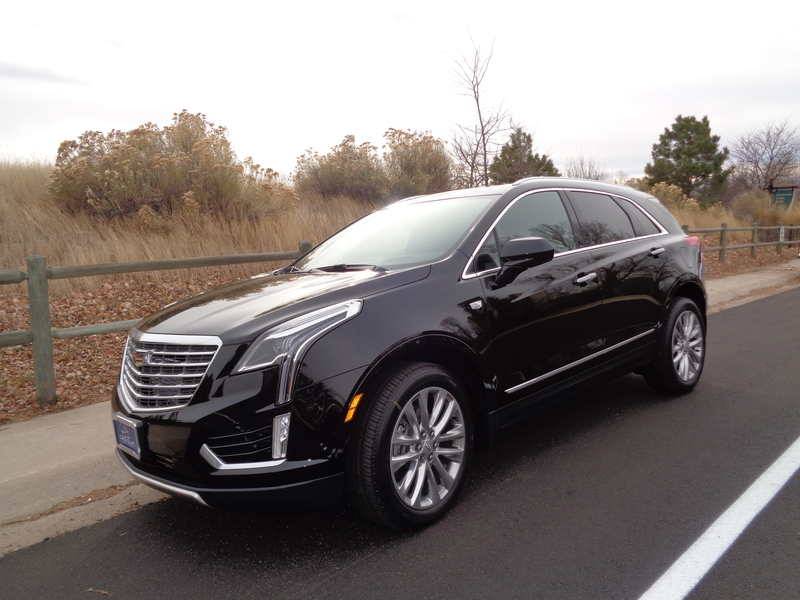 The XT5, which was my choice of several possibilities in the Cadillac line, is a new midsize crossover, succeeding the SRX of the past 12 years. 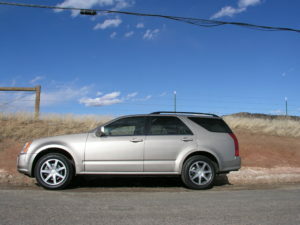 It is of 112.5-inch wheelbase, 2 inches longer than that of the SRX. The XT5’s overall length is a bit shorter than the old model, yet it is roomier in both rear-seat and cargo space. The ’17 model is 100 pounds lighter than the SRX. Gavin Pierce, general manager/partner of Elway Cadillac, selected the loaded Platinum edition for me, and Stefan Hachey, sales consultant, got a kick out of showing me some of the new features; push a button and the rearview mirror becomes an absolute live video of what’s behind, of far greater distinction than the rearview camera on the navigation display screen. While at Elway’s, I renewed friendship with Ron Goodman, the dealership’s new-car sales manager who for 25 years operated a Buick GMC store on South Broadway. The Cadillac’s 3.6-liter, direct-injected V-6 engine is rated at 310 horsepower and 271 lb.-ft. of torque and tied to an 8-speed automatic transmission with a small electronic by-wire shifter. The engine is equipped with cylinder-deactivation, which on smooth cruising or deceleration will operate on V4 cylinders rather than the full V6. 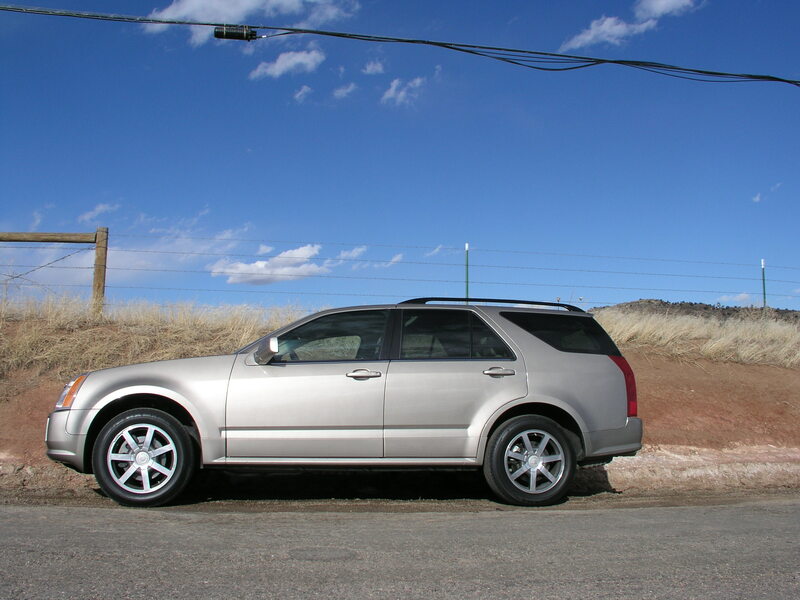 This is a fuel-saver; the XT5 averaged 23 miles per gallon in overall driving, about par for the midsize segment. On a return drive from Greeley to Denver, though, the model reached 29 mpg. Its EPA estimate is 18/26. I would say, even with the 310 hp, the engine defaults to smoothness over power. he all-wheel-drive system can be set to modes for Touring, with 60 percent of torque relayed to the front wheels; to AWD with 50/50 split of torque and capability of routing up to 100 percent to front or rear axles and to either side; and to Sport, with 80 percent of torque devoted to the rear wheels. The Cadillac’s overall length of 189.5 inches is a half-inch shorter than that of the Lincoln MKX. Accenting the black-finished XT5 are a large, bright grille and 20-inch, fully polished multispoke aluminum wheels. The XT5’s interior is plush and stylish and comfortable, as fine as any in the luxury midsize class, which includes Lexus RX350, Lincoln MKX, Audi Q5, Mercedes GLE and Infiniti QX60, among others. 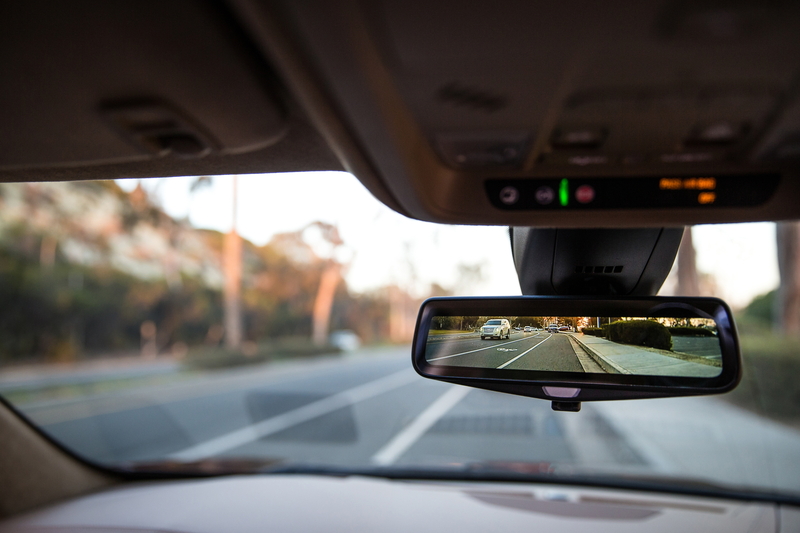 For the driver, the head-up display is unusually bright and colorful. 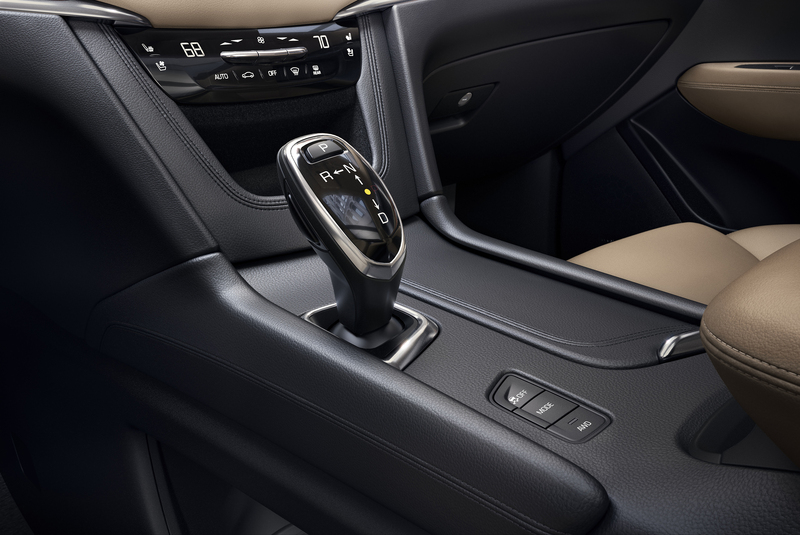 In addition to heated and ventilated leather seats and heated steering wheel, the cabin features leather-wrapped instrument panel and door panels, with micro-suede headliner. Rear seats slide fore and aft and recline, and the cargo area offers 30 cubic feet of space, about average for midsizers. The hands-free power liftgate can be opened with a wave of the foot. A highlight of the CUE audio/navigation infotainment setup is a 14-speaker Bose surround-sound; Apple CarPlay and Android Auto are compatible. The XT5 Platinum’s sticker price totaled $65,835 with the many options, including adaptive cruise and automatic front and rear collision braking. Pricing for a more basically equipped XT5 with all-wheel drive begins in the low to mid- $40,000s. The new XT5 is the 49th Cadillac I’ve driven over the years. The first was a 1978 Seville sedan in which I drove Jan and her parents, Lyle and Ruth Davis, downtown to the Auditorium Theatre for a performance of “Hello, Dolly!” with Carol Channing. I parked in a lot across from the theatre, closed the driver door and set off one of the earliest theft-deterrent alarm systems in an automobile. With all those “bells and whistles,” the Seville’s price was $17,174. A total of 132 Fords is the most of any one make I’ve driven among the 2,000. Second most is the Chevrolet, of course, with 120. In my early years of reviewing the new cars, most were borrowed from Denver metro dealers; some came directly from the manufacturers. In the past 30 years, manufacturers have assumed responsibility of supplying most of the products to the automotive press. Today, they’re provided and distributed through three agencies in this area – Automotive Media Solutions, Drive Shop and Rocky Mountain Redline. Congratulations Bud on driving your 2,000th new car. That’s a remarkable feat and a lot of driving experience. We’ve enjoyed reading your column about the driving and features of those cars.